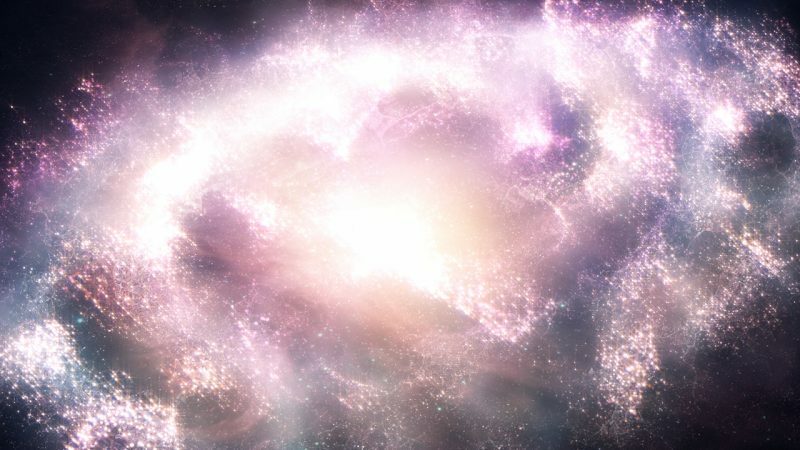 In this tutorial, we’ll take a look at how to build the basic structures of a nebula or galaxy using Trapcode Form and an OBJ model. I’ll cover how to setup the particles to get the overall spiral shape, how to add some variation to the particles to add complexity, and how to enhance it by adding energy waves and some dust. I believe this method is a lot easier and more robust than my previous method using Trapode Particular, because with Form, particles are static and we won’t have to worry about the birth/death rates. We’ll be colorizing the particles by using an image as a color map, which you can find below. I believe in this tutorial I may have displaced the particles too much, causing them to look too messy. If you want to retain that spiral based shape, lower the displacement and dispersion of the particles. In the final preview, I also created a lot more particles, most of them very small (around .5-.8 in size). The more finer particles you have, the more complex and organic it looks in my opinion. The hardest part of this tutorial is getting the smoke, energy, and shape just right. The amount of smoke and the shape of your nebula and energy can make or break your animation, so keep fine tuning it until it looks great. Play around with the different blending modes for your particles and image textures, those images can really add a whole new level of detail. Let’s be honest, I will probably make another tutorial over this when I figure a way to make it look even better. If you want to get a head start, trying adding some 3D elements in there using Element 3D such as gases or energy models. Experiment with the fractal noise to get some pretty cool overlay textures. You can even use custom textures and images for your nebula/galaxy particles, which will give you a more realistic and interesting look. My last tip is to watch this tutorial from Peder Norrby, the man and genius behind Trapcode. In it, he explains how he created the above animation as well as explain some great tips and tricks on how to create a more realistic space/nebula environment. You can even download his project file and get some great cloud assets that will really help you in selling a more organic result. There’s a lot you can do, so experiment, use images, and tweak away. If you create something cool, post them in the comments below! Lol i was wondering why i missed this one but its completely new haha! Good Job man. I really liked your site and will regularly check it out. Nice suggestions and tuts. If you are familiar with Nuke and/or Maya it would be cooler to put some tuts for them as well. Thanks for the suggestion and kind words Vasil, would love to dig into Nuke! Ever try to recreate a shot from gravity or achieve similar realistic space look (using a realistic model)? Would be pretty cool to see. Thanks for the Tutorial learned some new things! Awesome. I only got a question! At 15:12 when u say do the affect Opacity from the fractal field to zero. U see on your tutorial that u still the smokey particles. But when i change it to zero then it changes to black there is nothing left. But when i do affect opacity 1 u see it to bright.